First of all I’d like to say I’ve used Huel for around 3-4 months at a minimum of 2000 calories a day adding extra calories with food. I really have enjoyed my experience with it so far. Tastes great, provides everything you need and makes it really easy to hit my calorie goals for the day. My ONLY problem is made my skin actually worse and I’m finding it very confusing as of to why this is. I’ve never had the best skin but it was never as bad as it has been when consuming Huel. I usually have a few spots around my mouth/chin and on my chest but these increased by 3-4x over my peroid of using huel and I kept having breakouts. It’s a real shame as originally I was hoping Huel would help clear my skin up completely after reading some positive reports. I stopped using it a week ago (only thing that’s changed) and my skin’s started clearing up again. Anybody have any similar experiences? Real shame as I’d love to keep using it but as it stands I can’t right now. Was your diet previously far lower in protein? Though, saying that, mostly it seems that this is more relevant for whey protein, which obviously Huel doesn’t contain. Hi @Sam - sorry you’re experiencing this. Have you had these issues before with your skin? My skins never been perfectly clear but I’d never say I’ve ever developed acne though with Huel it was certainly bordering on that label… Real shame as I do love Huel but seems like not many others have reported the same as me so it must be a reaction to one of the ingredients or protein as another said. I am not saying for sure that this is the case here, but I do know that sometimes when you detox the liver starts kicking out old toxins, and this can result in poor skin. When I first went vegan I had never had bad skin - for a few months I went zitty. If I had gone vegan for health rather than ethical reasons I would have given up (in fact, at times I nearly did.) About four months in it suddenly cleared up. Is it possible this is what’s happening? I don’t know what your diet was like before Huel. Maybe stop using Huel for 2-3 days, then re-start on one scoop for a few days and see how your skin is. Are you drinking the Vanilla version? That contains sucralose which has been reported to aggravate acne. Personally I just drink the unflavoured version for this reason. Also if you’re “adding extra calories with food” you can’t blame Huel. You need to isolate the variables in your diet. Do you have any research to back that up? “Detoxing” has absolutely no basis in medical science. Yeah was drinking the Vanilla version so maybe that’s a good point. Spots concentrated around the mouth and chin can be an indicator of a hormonal imbalance perhaps caused by polycystic ovaries. This may or may not apply to you (hard to tell from the name Sam) but if it gets worse and you can’t find a simple food based explanation, maybe see about a hormone check. If you are confident it’s triggered by huel perhaps cut it for a week and see if it improves. I am having a similar experience. I have psoriasis and I think the Huel has aggravated it. I drink the vanilla flavoured Huel. I think I will persevere for a few more weeks and see if there are any changes / improvements. Again would be interested if anyone has had any similar experiences. I have PCOS and i am going to be starting on Huel tomorrow. I have never really suffered with spots and generally have good skin. Did you suffer with any spots before using Huel related to PCOS? Sam have you tried the gluten free one as a thought? Sam, I’ve had exactly the same problem. My skin has gone from absolutely fine - although I had horrendous acne as a teenager - to spots on my neck and around my mouth. Something I haven’t had in about 15 years. The only thing I’ve changed about my diet and lifestyle is the introduction of Huel. In terms of the rest of my Huel experience, it’s been only positive. I’m losing weight at a sensible pace, sleeping well, less hungry than normal etc. But the spots are getting me down! Wondering if anyone at Huel can point to what this might be? I did wonder if it was something to do with having far less fresh fruit and vegetables because they’ve been replaced with Huel, but this would jar somewhat with the ‘nutritionally complete’ claim. Sorry to here about these issues. I’m on the GF Huel and my skin has improved dramatically since I started using Huel mid June this year. No dryness, no itching. I had mild psoriasis and that seems to have cleared. That’s interesting because that’s exactly where my spots are! Just around my mouth, jawline and neck. It’s hard to pinpoint for sure… I still use it occasionally with no improvement in my skin just because everything else about it is great. Apparently supplementation of vitamin B12 has shown an increase in acne even in people who haven’t previously suffered in it. Maybe the new formula will make a difference? Not sure though as I doubt it was the type of B12 and more B12 itself. The sucralose in the vanilla version could be a culprit. This is because sucralose is suspected to mess with gut flora and having imbalanced gut flora can lead to acne as well. Reaction to high protein as someone mentioned? More unlikely though. Flaxseed has been shown to cause acne in some… However I was fine with flaxseed before. I think I will try the new formula, gluten free and the unflavoured version of it just to see but unfortunately I find unflavoured very hard to stomach haha. ThIs is my first post. I have been investigating Huel as a possible supplement to my diet, and at the same time looking at ways of improving my acne. (I have recently been diagnosed with PCOS which affects about 10% of women). I am suspicious that Biotin might be the culprit here. It’s in the Huel’s ingredient list. My understanding is that it is taken generally as supplement for nail and hair growth but it speeds up the proliferation of skin cells/ clogs pores, and therefore trigger and worsen acne. 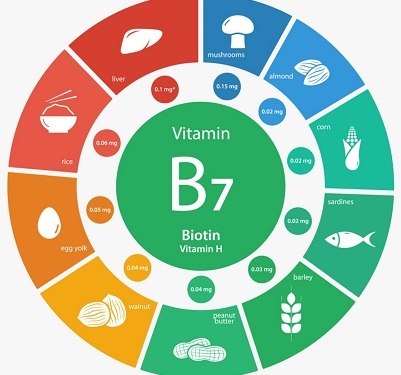 Biotin or vitamin B7 benefits your metabolism, hair and nails. But do you know that biotin also has side effects? Bonus, know its benefits, dosages and more! I would love to try Huel but sadly it looks like in its current form Huel is not for me. I won’t be the only one. Clinical studies indicate that between 40 and 55 percent of the adult population age 20-40 are diagnosed with low grade, persistent acne. According to the Journal of American Academy of Dermatology, 54 percent of women older than age 25 have some facial acne. I think we need to be careful and listen to our bodies. Huel was created as a all in one, one for all solution but we are not equal and each of us have different needs. Ps: I hope that’s useful Sam. Would Huel consider lowering the amount of Biotin in their formula? Hi @Charlotte - if we were to lower the amount of biotin in Huel, then it would not be nutritionally complete. Biotin is an essential nutrient and the amount in Huel meets the nutrient reference value and is indicative of a typical varied diet.